Former Revolution center back Michael Parkhurst is headed back to his first MLS Cup final in eight years after his Columbus Crew claimed the Eastern Conference title on Sunday with a 2-1 aggregate win over the New York Red Bulls in the conference finals. Parkhurst, a native of Providence, R.I., played every minute of the postseason for the Crew. During the regular season, he played in 33 games and notched an assist in the club’s 5-0 thrashing over DC United during the regular season finale on Oct. 25. He is the only member of the Crew to have played in a previous MLS Cup final. The 31-year-old center back played four seasons with the Revolution from 2005-2008, and was named MLS Rookie of the Year in 2005. He was earned MLS Defender of the Year honors in 2007, and helped the Revolution secure three straight trips to the MLS Cup final between 2005 and 2007. Following the 2008 season, he journeyed overseas following the 2008 MLS campaign to play for Nordsjælland (2008-2012) and FC Augsburg (2013-14). 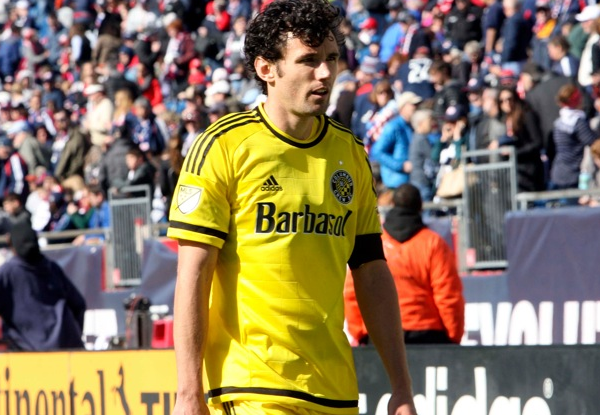 Parkhurst, who also starred for R.I.-based Bayside FC as a youth player, returned to MLS prior to the 2014 season, but had his rights traded to Columbus that January for the fourth overall pick in the 2014 SuperDraft and allocation money. The Revolution used the fourth overall pick to select midfielder Steve Neumann, who had his option declined last week. The MLS Cup final is set for Sunday at MAPFRE Stadium in Columbus, where the Crew will host the Western Conference champion Portland Timbers. Kickoff will be at 4:00pm ET.